Major General Raymond Godfrey Lehman Sr.
General Lehman (Joe) was born in Sleepy Eye. He Grew up playing football and wrestling in high school. He graduated from Nebraska where he was a football player-coach. 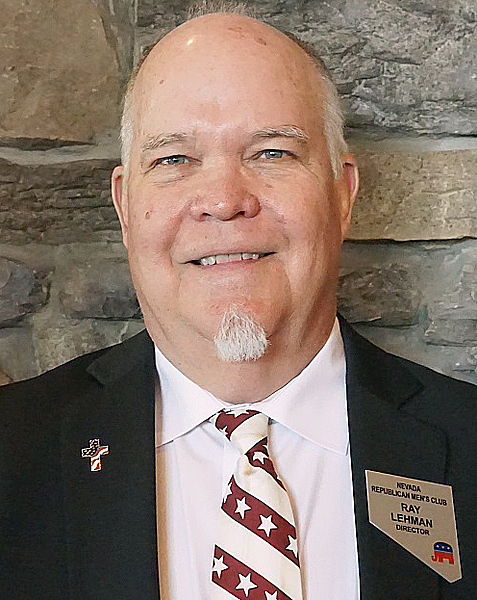 Lehman’s military career began in WWl during which he was not deployed. 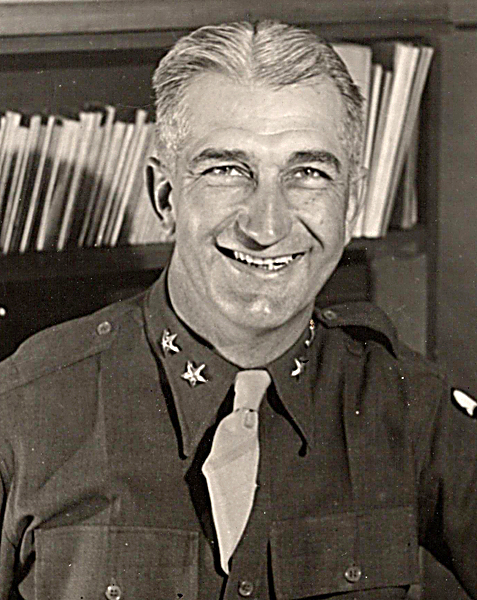 In WWll the Roosevelt administration asked Lehman to take command of the 93 Infantry Division Colored which was in poor condition and morale was very low. The story of his command leads to General Lehman being mentioned in numerous civil rights books. General Lehman lived a life void of discrimination and ill will of others. His grandson, Raymond Godfrey Lehman III, is grateful for the opportunity to tell his story directly from his war diary, official government forms and the history of the 93rd. The presenter, was born in 1951 to Raymond G. Lehman Jr and Alida Lehman in the Panama Canal Zone. He was raised in an Army family for the first 18 years of his life which included living in 11 different communities in those 18 years. Lehman and his wife, Dalal, have two adult sons, Ray IV and Chris. Lehman III lives in Las Vegas where he is politically active. He also volunteers at his church and serves as an officer on two boards. the Nevada Republican Men’s Club, and the Desert Sportsman’s Rifle and Pistol Club. The program is free to the public. Those attending are encouraged to bring their lunch; complimentary coffee and water will be available. NEW ULM — The Lions Club of New Ulm will host its 45th Annual Fly-In Breakfast at the New Ulm Municipal Airport Sunday, Sept. 9. Featured will be all-you-can-eat pancakes, sausages, applesauce, coffee, milk and juice. Serving will be from 7 a.m. until 12:30 p.m. Advance tickets are available for $7.50 each at the New Ulm Chamber of Commerce office, Cash Wise Foods, Hy-Vee Food Store or from any New Ulm Lions member. Tickets are also available at the event for $8.50 each. Children 4-12 years are $3. Children 3 years and under are free. All Fly-In pilots eat Free. Free eye screenings for children ages 6 months to 6 years will be available. North Memorial Air Care and Life Link III Medical Helicopters, New Ulm’s Allina Medical Transportation Ambulance, New Ulm Fire Department, New Ulm Police Department plus over 100 airplanes will be on display. Helicopter rides will also be available. 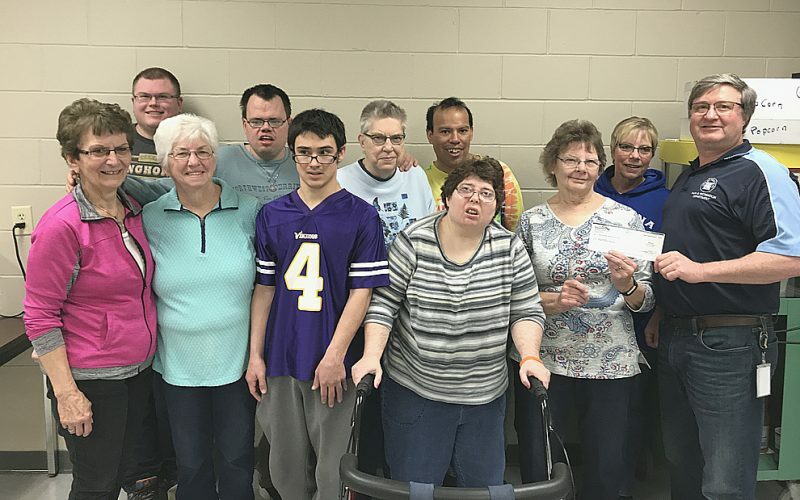 Join the Lions Club of New Ulm in their efforts to support the Sight, Hearing and Diabetes Impaired and other civic and humanitarian needs.